Before Chelsea was born, I reached out to the best mothers I know (my sisters) to ask for some advice regarding various items. 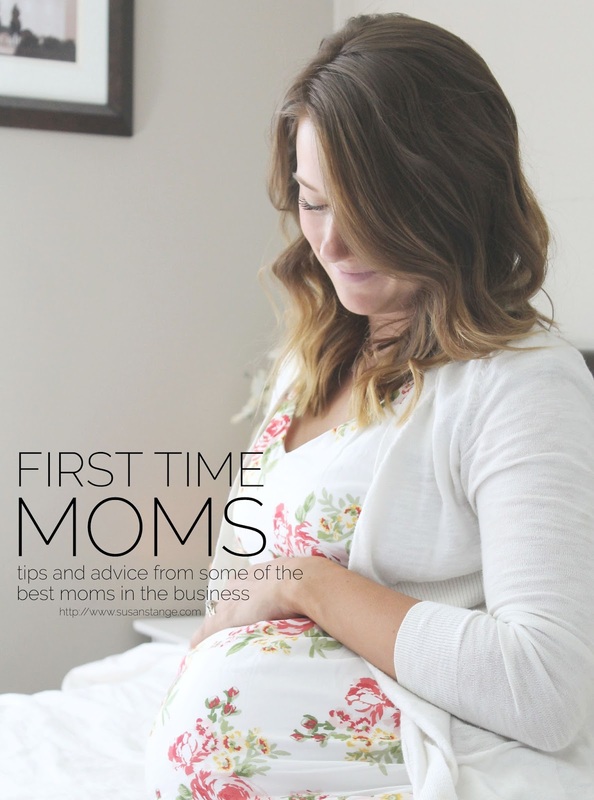 Now, having been a mom of a newborn for two kiddos, I've accumulated my own opinions and advice and found that they basically coincide with those of my "panel." So! here's some advice that might help you, too, whether it's your first or your third (but especially if it's your first). If you're in a smaller place, like an apartment or just a smaller house, or the baby is in a room that's near where the everyday action takes place, it's not really necessary. Some of my sisters chose to purchase baby monitors because the baby's room was upstairs or downstairs and they were worried they wouldn't be able to hear their baby if they cried. One sister purchased a monitor so she could get to her baby quickly before he woke up the rest of the family, and one sister decided that, for the sake of her paranoid spirit, to invest in one. The pac n' plays with the bassinet are really handy so you don't have to bend over, but you can get by with just a regular one. Sisters said that the Graco brand have been good to them, but Chico has been nice, too! If you don't already have a crib, or can't afford one just yet, the pac n' play works great! I haven't had one thus far because we've always had an available crib, but I'll definitely be using one this time around for Alexa once little brother is out of the bassinet next to my bed because I don't think she's quite ready for a big girl bed. I think the general consensus for every mom everywhere is a "yes" but opinions on the type of stroller you should get vary vastly. It all depends on your lifestyle and needs. 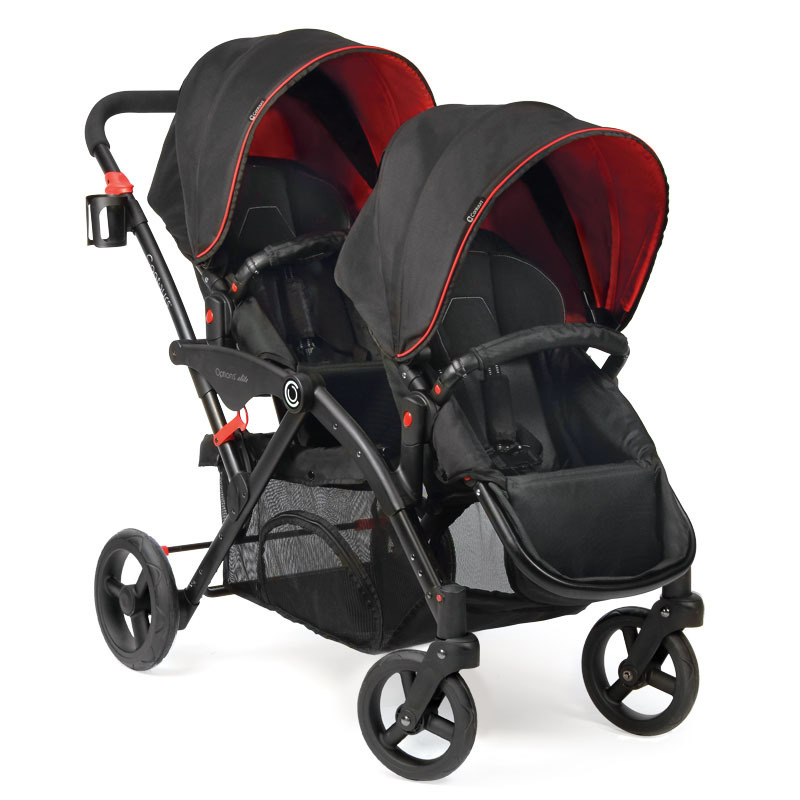 Jogger strollers are great for active moms (obviously) but be aware that the tires can pop (which gets old after a while). 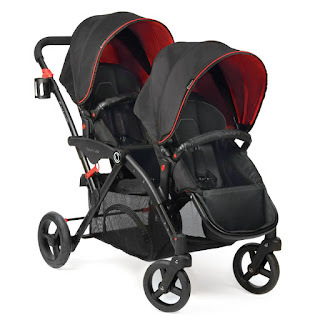 A common theme between the moms was that buying a travel system was really helpful so that you can easily transfer the car seat carrier to the stroller and not wake the baby. I've had a few questions about my stroller, though, so I'll give you some info on it. It's called the Contours Options Elite. My exact model/design isn't available anymore, but the ones up there now are the same price and look basically the same (with a few improvements!) I bought mine off of Amazon and it has been worth. every. penny. seriously. I also got the car seat adapter to accomodate my B-Safe Britax infant car seat carrier. It was a life saver when Andrew and I only had one car and he took it to the train station (about 1.5 miles away) every day. If I ever needed to run errands, I'd unpack my stroller and we'd take a walk to get the car. Exercise + car = worth every penny! It is a little heavy, but that's because it's tandem stroller. Comes with the territory. And I love that I can turn the seats around to both look at me, look away from each other, look at each other, or both face forward. 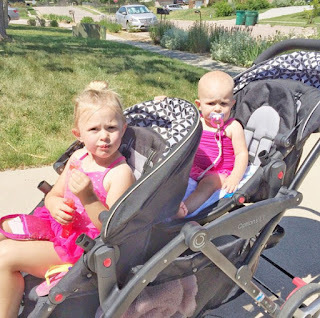 I can't say enough about this stroller! I mean, you've gotta bring diapers and wipes, clothes, blankets, etc. with you when you go places, but there are so many options out there. 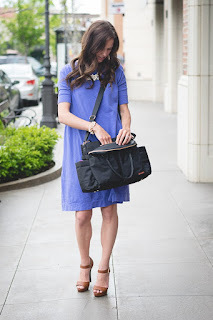 You don't really need a fancy schmancy diaper bag, but in my own personal experience, it's a lot easier to keep things organized in a bag that's made specifically with moms in mind. It would have been awesome to get one of the super amazing Petunia Pickle Bottom bags (I wanted this one!) 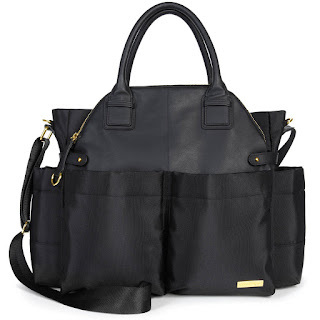 but convincing my hunny of the necessity of a $160 + diaper bag, was basically impossible. So I did some research and found my bag instead and I LOVE IT! It's this Skip Hop Bag and I love the look and durability, plus it's super easy to clean and has pockets for EVERYTHING. It's the best. Plus, I got a deal on Amazon for it and ended up spending $60. Worth it. I will say, that sometimes I think it would be nice to have a diaper bag that is a backpack, just so that I can be more hands free, but it's not a necessity for me. Personal preference. Most of my sisters just used the bathtub with a hand towel and filled the tub just one or two inches. A general rule of thumb is to never fill the tub higher than the baby's belly button when they're sitting up. Of course, when they're newborns, you'll probably use the sink more than anything else. Some of my sisters and I used bath sponges. I really liked mine because it stopped the baby from sliding around dangerously in the tub. I bought mine originally from Target, but I don't think they sell them anymore. Here's one on Amazon. Any extra bits of advice? "I wouldn't worry about a changing table. I have always found it easier to change a moving target on the floor. Just remember the baby will grow up with or without the cute diaper bag, carseat, expensive stroller. But, if it allows you peace of mind, makes you feel pretty or like a good mother, it is worth the expense too." "A good baby thermometer is a good idea. Honestly, the best thing to do is probably to hold off on most things, wait until the baby comes, then see what you really need. It is so easy to get caught up in thinking you need a ton of stuff before the baby gets here, but you may end up spending money on things you will never use." "Here's a non-essential extra that I love: the Bumbo. I also think a bouncy seat is really nice to have, but not essential. Oh, and I really like having a changing table. Ours has 3 big drawers and a side cabinet and it holds everything! I'd say a changing table is an expensive "extra" that would be worth getting when you can afford it later. I prefer a changing table because the baby is at waist level and they can't get away from me so they're less squirmy. Changing a diaper on the floor when you're 9 months pregnant is not fun." "I consider myself a "redneck" Mom--so, take these thoughts at your own risk. When Heidi was born, we'd only purchased a bed for ourselves a week before (I'd been sleeping on the floor before that--yes, at 8 1/2 months pregnant.). I only had cardboard boxes for ours and Heidi's dressers. Thanks to Mom for helping me sew cute things for the crib we borrowed from Scott's Grandma. After that, I pretty much decided most everything else was ephemera. Swings come in handy for some kids. If you have a cryer, I might go get one or borrow one (not before). My children never would take a pacifier because I was too yummy, apparently. Beyond that, a few good cloth diapers will come in handy for spit up messes. The rest is all a bunch of marketing hype. Decide for yourself if you'll get drawn into it." "I thought I would need everything ( plus I kinda had that " I want to OWN everything" syndrome) but really, borrow as much as you can and try it out (I'm talking bouncers and swings, maybe even the tub if you like that idea) and then buy it when you like it! :)." 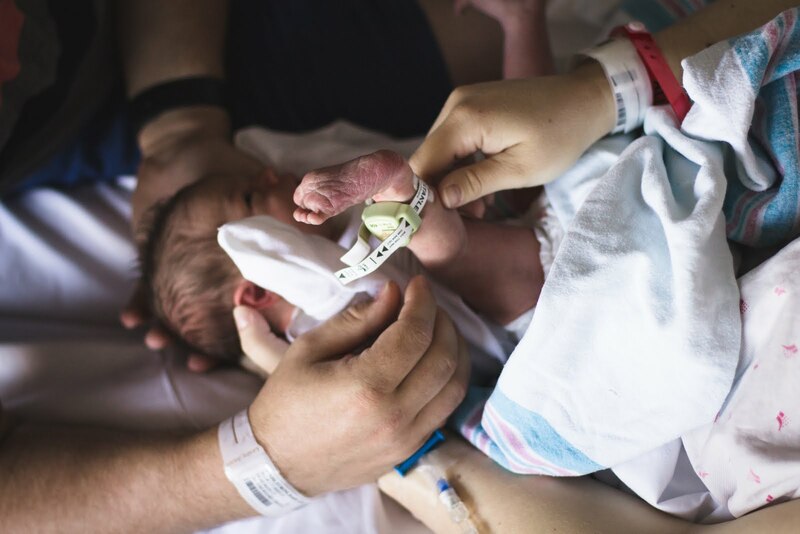 "I can't say enough good things about swaddle blankets! Super lightweight, soft, muslin cotton. At first I didn't want to buy them because they're pricey, but they very quickly became my favorite blankets! Especially if you plan on swaddling. love, love love!!!!" Thanks so much for stopping by today and if you're a couple weeks shy of your due date like me, I salute you and say "you are not alone!" Good luck!